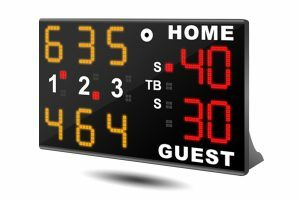 LED Tabletop Tennis Scoreboard with 3 Sets with Scores and Sti…. 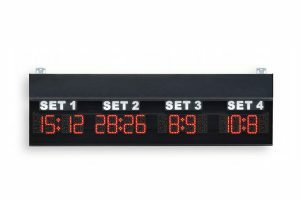 LED Tennis Set Scoreboard with 4 sets displayed with ultra bright LE…. 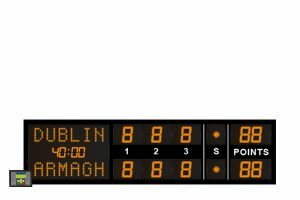 Club level LED Tennis Scoreboard with 3 Sets & Sticker Player N…. 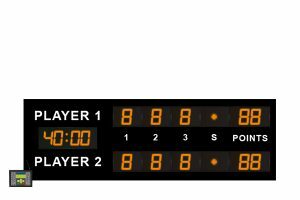 Competition level LED Tennis Scoreboard with 3 Sets & Stick….